In 2019, the Ferndale Auxiliary Communications Service (ACS) will be bringing the communications van out to Ferndale Schools. The purpose of these stops will be to conduct a radio net designed by the Ferndale ACS (FACS) for the District’s radio operators. An added bonus of visiting will be to get to know the staff and offer small tours of the communications to staff as well as students. For more on this, FACS events, exercises and information please follow their Facebook page. 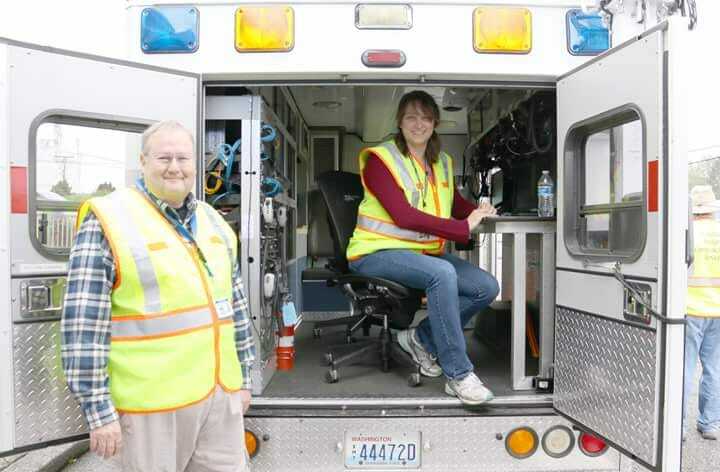 Ferndale’s Auxiliary Communications Service is a group of amateur radio operators who provide communication support to the Ferndale Emergency Operations Center and the Ferndale Police Department Communications Van. ACS is part of the Ferndale Emergency Resource Network (FERN) which is a consortium of emergency response volunteers who meet monthly to ensure Ferndale is prepared for any emergency or natural disaster. Also included in the FERN group is the Ferndale Community Emergency Response Team (CERT), Ferndale School District, Northwest Washington American Red Cross, the Whatcom County Volunteer Mobilization Center, and the Whatcom Unified Emergency Coordination Center. If you hold an FCC Amateur Radio License (Technician, General, or Extra) and are interested in becoming an ACS volunteer, please email ferndaleacs@cityofferndale.org to request an application. The Ferndale ACS meets the third Sunday of every month at 3 PM in the Emergency Operations Center at the Ferndale Police Department, 2200 Main St.